'Tis the season of consignment sales! Within a short drive of where I am in western Kentucky, multiple organizations are advertising great deals on gently used kids' clothes, shoes, sports equipment, toys, gear, you name it. The focus is spring and summer wardrobes, so if your family has outgrown last year's warm-weather duds, now is a great time to seek items for this year. I've been to a few of these sales since becoming a mom. The first one was completely overwhelming and I went over my budget, piling everything I could carry, and then drag, into my basket. Even as I drove home I knew I had overdone it. There was just SO MUCH GOOD STUFF at SUCH GREAT PRICES! I have since figured out the best way for me to get the most out of my time and money at such a sale. And while I'm no pro, I want to share a few tips for those who haven't shopped one before. 1. Research the sale you're attending. If there's an early bird sale and you want first pick, don't miss it. If there's a half-price portion of the sale, and you're really only going for the best of bargains, wait until that hour. If there's a cost for admission, don't be surprised at the door. Find out if they accept credit or debit cards or checks, or if it's a cash only sale. Know what you're getting into. 2. Arrive on time. Or late. 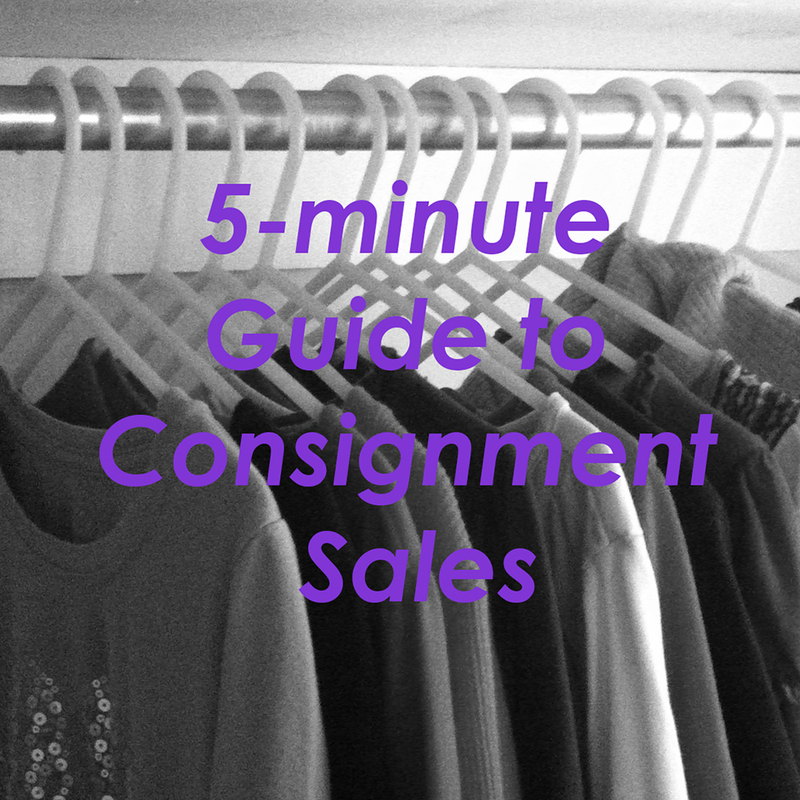 Unless the sale you're attending has advertised a very specific large item that you REALLY want to get to first, there's no reason to get there early and wait in line. Once shoppers are inside, they disperse and you're not having to stay behind all those people to see what you want to see. 3. Go alone. Or with a friend. I like to shop these things solo; that's my best chance to focus and only select items that we can truly use. If you bring the kids, they will see toys/books/games/clothes/shoes/etc that they want. If you're good with that, take them. But know that there are typically a LOT of people at these things and many blind spots where you would not see your kids if they ducked around a corner. If you want adult company while shopping, select your browsing buddy carefully. For example, I may not take a friend whose child wears the same size as mine unless we have really different styles, because I would not want to both be reaching for the same items constantly. Just throwing that out there. 4. Bring your own laundry basket or a large bag. Some sales provide shopping baskets or bags, but if they do not, it's a real hassle to juggle the things you pick up along your path. If you're planning to do heavier shopping, baskets can scoot along the floor with you; I've seen some shoppers loop a belt or tie a rope to theirs so it can be dragged easily. With only one child, I am not usually shopping for that much, so I tend to take a large reusable shopping bag and it does the trick. 5. Shop for general categories of things. Please do not go to a consignment sale expecting to find a size 5, slim cut, skinny jean with pink and purple sequins around the pockets. If you go in looking for very specific items, you may find yourself disappointed. Instead, approach it from the standpoint of "we could use size 5 jeans" and see where that leads. You may run across those sequined skinnies and that'll be so much fun! But if you're focused on only those, you may miss some great garments that could also be very useful. Same rule applies for all types of items: "dress shoes" instead of "gold sparkly one-inch wedges" and "play dresses" instead of "Lands' End 100% cotton dresses with long sleeves and no waistline" and so on. 6. Look thrice before you buy. If you see something you really like, pick it up. If you go back for it in 30 minutes, or 10 minutes, or even 2 minutes, it may be gone. When you're finished shopping, go through all your items before getting into the checkout line. Anything that you're having second thoughts about, return to where you found it. When you get down to the items you plan to purchase, look again, once more, to make sure there are no stains, rips, or missing parts that you may have missed before. If any of the items are not up to the standard that you require, put them back where you got them; someone else might be glad to pay the listed price regardless of condition. Feel proud of how a little extra time and effort is saving your family a lot of money! And how your kids are going to look adorable! I really do recommend these seasonal consignment sales; they're great for dressing children for a fraction of the cost of retail, including store sales. Sometimes their prices even beat thrift stores, and they're often better organized and more heavily staffed. Although I have enjoyed many small victories, one of my favorite recent consignment sale purchases was a brand new pair of Sperry leather moccasins for my nephew for $2.50. What is the best bargain you have ever found at a consignment sale?